S.T.A.L.K.E.R. : Clear Sky is the second game in the series of survival horror shooter games under the S.T.A.L.K.E.R. name. The game plays out as a prequel to the first game where you explore the origins and events that led to the first game. In Clear Sky you’ll be assuming the role of Scar who is a veteran stalker. After getting hit by a large emission while guiding a group of scientists you wake up to find yourself in the base of the Clear Sky faction that is focused on researching the Zone. According to their research on the player after his accident you now possess great resistance to anomalies compared to a normal human. The scientists believe that these continued large emissions are the result of stalker groups reaching the centre of the Zone. 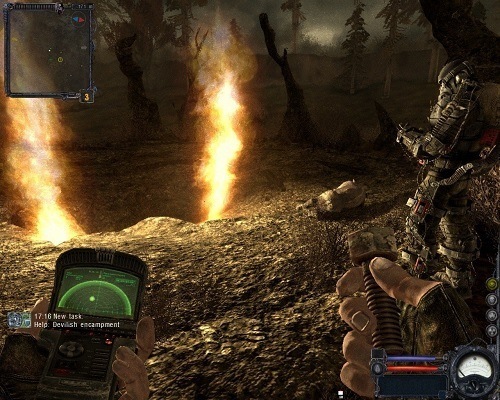 From here you take it upon yourself to stop these emissions from causing further damage by hunting down the stalker group of Doc, Fang, Ghost and of course Strelok. This journey will take you through plenty of familiar locations and some new ones although they are all different in subtle or major ways to reflect the timeline difference. Fans of the S.T.A.L.K.E.R. 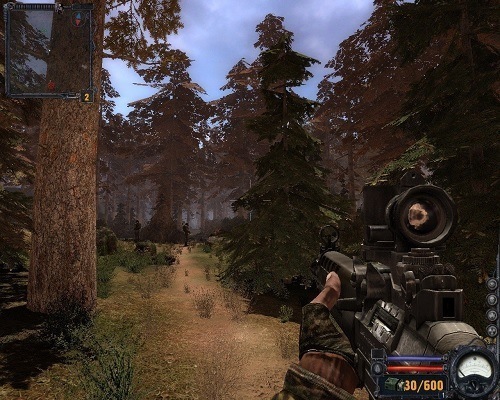 series can experience similar gameplay in Clear Sky with artefacts, anomalies, equipment and the same first person shooting elements returning in the sequel. The weapon system in particular has received some enhancements allowing you to upgrade and repair equipment. One new addition to the game though is faction wars which the player can take part in by overtaking key strategic points and completing a number of repetitive quests. Available factions include Duty, Freedom, Loners (stalkers) and Bandits. As you begin to dispose of more and more enemies your allied faction will gain the upper hand which eventually makes the maps safer for you and means the traders have better equipment available for purchase. If you would rather not participate in faction wars players do have the option to stay neutral with every faction although it a hard balance to pull off and often more trouble than it is worth. Clear Sky makes some improvements in areas but then lets itself in down in other areas to stop it from being an amazing sequel. It’s definitely one for S.T.A.L.K.E.R. fans though with the best element of the game being able to the differences in the game world. Experience the events that led to the first game. Chase Strelok and his team to stop them creating a potentially Zone ending emission. Introduces equipment upgrade system and repairing. Join in the faction wars and claim area for your faction.